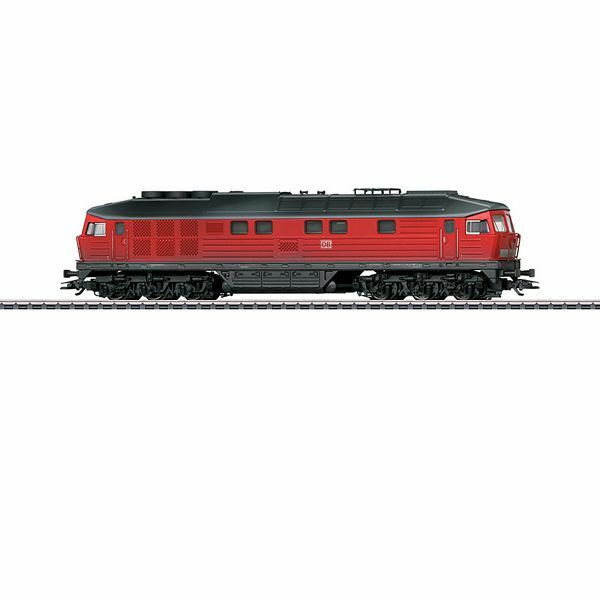 Prototype: DB AG class 232 diesel locomotive, nicknamed "Ludmilla". C-C wheel arrangement, built starting in 1974 in the USSR for the German State Railroad. Use: heavy passenger and freight trains. Era VI. 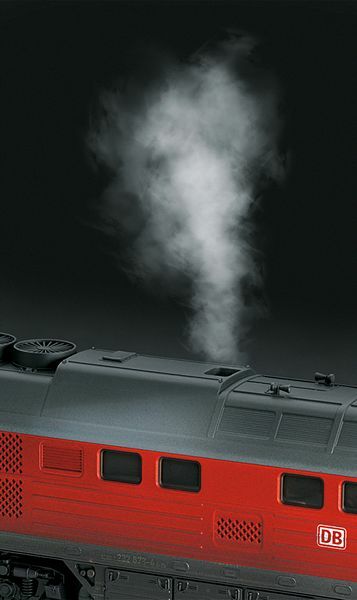 Model: The locomotive model has exhaust gas emission with a Piezo vaporizer that can be controlled digitally in three steps (operation with distilled water). 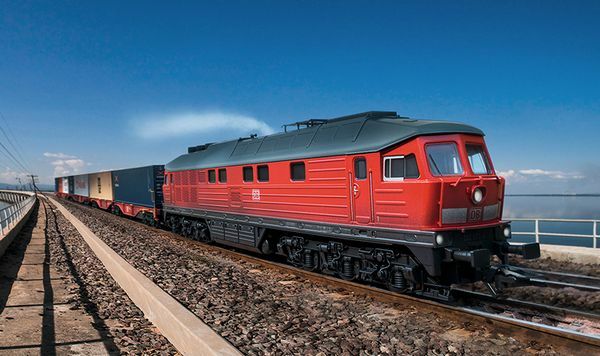 The locomotive has an mfx digital decoder and extensive sound functions. It is authentically weathered and is constructed of metal. 4 axles powered. Traction tires. The triple headlights and dual red marker lights change over with the direction of travel, will work in conventional operation, and can be controlled digitally. Maintenance-free, warm white and red LEDs are used for the lighting. Length over the buffers 23.9 cm / 9-3/8". 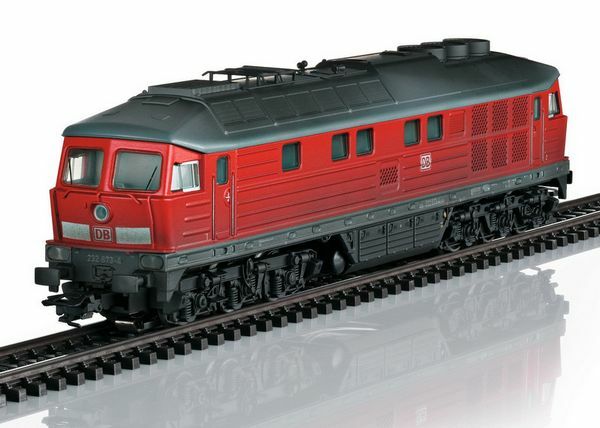 The weathered container car set to go with this locomotive can be found in the Marklin H0 assortment under item number 47810. Filler pipette included.